Most of our homes are jam-packed with the latest gadgets and gizmos designed to entertain us and make our lives that little bit easier. If you are planning a holiday this summer, why not kit your caravan out with some gadgets too? Whether you’re looking for something to keep the kids quiet, or a nifty device to help you with your post-holiday spring clean, below is a list of some of the best gadgets you can buy. eReaders are making waves in the tech market and with prices starting from as little as £30 for some models, anyone can afford to buy one. eReaders are perfect for when you want to unwind after a busy day, and they make great companions for day trips to the beach. What’s more, they are perfect gadgets for when space is limited – you’ll no longer have to cram your caravan shelves with books as they’ll all be stored on one nifty device. As well as reading books, you can watch videos and play games on some models, which is perfect if you have a couple of bored kids to entertain. Many caravanners would agree that nothing beats a BBQ on a balmy summer’s evening. But why buy just a BBQ when you can buy a BBQ, grill, fryer and wok all rolled into one? Cadac’s Safari Chef LP is a favourite among caravanners and is pretty cheap at around £70. The multipurpose BBQ runs off LPG using a regulator and hose for connection. Cook chicken on the non-stick grill plate, grill sausages on the grated grill surface, or prepare a full English on the reverse skillet. If you fancied a stir-fry, the lid of the BBQ turns into a handy wok. The compact BBQ has foldaway legs for storage and comes with a carrying case, so you’re able to take it along to your neighbours for the evening. No BBQ is complete without some refreshments, good company and, of course, music. Generally speaking, the more expensive the dock the better quality the sound is, so it depends on whether you’re looking for a high-spec speaker system or just something to switch on while you’re preparing meals. You might even want to consider buying a portable dock so you can bring the music outside with you (so long as you don’t annoy the neighbours!). If you’re planning a long caravan holiday a portable washing machine is the perfect gadget, allowing you to recycle your clothes so that you don’t have to overload your suitcases and struggle for somewhere to store it all. Starting from around £40, you simply put the clothes into the machine and press go – it really is that simple. Most of the machines are light and compact, making them easy to store. If you’ve got a larger family, there’s the option of buying a twin tub machine, too. Solar panels are an eco-friendly way to generate free electricity from the sun, reducing your impact on the environment and saving you some money at the same time. The panels are best used during the summer months; they can be professionally installed onto your caravan or you can leave them free-standing outside. Energy from the sun is converted into electricity in the panel, which can be stored in the caravan’s leisure battery and used when you switch on appliances. There are many varieties of panel and the sizes and type will depend on your caravan and individual energy needs. Although this is a costly gadget, a caravan mover is a worthy investment, especially if you plan to visit a few places during your holiday. A mover takes all the work from you, meaning you don’t risk damaging your back by trying to move the caravan yourself. Towsure’s MoveMaster is a great product for single axle caravans and is able to move forwards and backwards, and complete 360° turns. It can tackle even the biggest of hills and, what’s more, it is offered with professional fitting, so you don’t have to worry about that either. 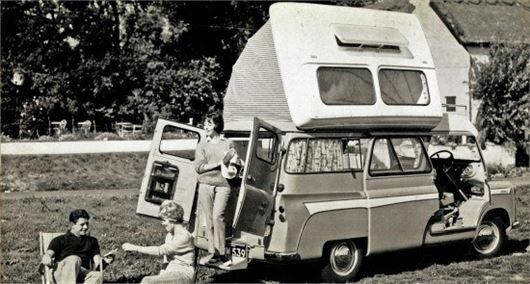 Once you’ve kitted your caravan out with all the best gadgets and gizmos, it’s time to hit the road. But have you protected all your new tech by taking out quality caravan insurance? Insurance is essential for making sure your caravan and everything in it is insured should the unexpected occur. Just make sure you choose a specialist caravan insurer, like Shield Total Insurance, for the best cover and advice.